The Wyoming women’s basketball team (1-1 overall) gave a great effort, but fell short 63-51 against the 22nd-ranked Michigan State Spartans (2-0 overall) on Sunday afternoon. Sophomore Marta Gomez led the way for the Cowgirls with 15 points along with six rebounds in 27 minutes of action. Sophomore Rachelle Tucker and freshman Taylor Rusk each added eight points while Tucker also recorded five rebounds. Bailee Cotton finished her night with six boards while Clara Tapia tallied six assists. UW shot 17-of-42 (.405) from the field and 8-of-14 (.571) from beyond the arc. UW also out rebounded the Spartans, 32-29. Michigan State was led by Tori Jankoska with a game-high 22 points and four assists. Taya Reimer followed with 18 points and seven rebounds while Branndais Agee added nine points and ten rebounds. The Spartans shot 21-of-54 (.389) from the field and 16-of-21 (.762) from the free throw line. Michigan State extended the lead to nine, 32-23, with a 7-0 run to begin the third quarter. A basket by Tucker ended a 3:30 minute scoring drought for the Cowgirls and they would close the gap to six, 38-32, with 3:10 left on the clock. The Spartans closed out the period scoring seven of nine to take a 45-34 advantage. Wyoming fell behind by 14, 50-36, in the first couple of minutes of the fourth until free throws and a basket by Gomez started a 9-6 run to cut the deficit to ten, 56-46. Despite a solid effort, the Cowgirls would run out of chances, falling by the final of 63-51. The Cowgirls got on the board first with a Liv Roberts three-point field goal while the Spartans followed with five-straight to go up 5-3 in the early part of the game. UW responded with five unanswered points to go ahead 8-5. 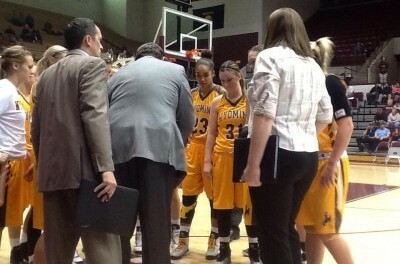 After free throws by MSU ended a scoreless drought, another three by Ligocki made it 11-7 for Wyoming. Michigan State scored the next 13 straight to take a 20-11 lead. A three by Gomez started a 12-3 run to even up the score at 23 all. A late basket with under a minute to go gave the Spartans a 25-23 lead headed in to the locker room. Gomez led UW with six points and 2-of-4 from beyond the arc. Roberts had five points while Tucker led the way with four boards. The Cowgirls shot 9-of-27 (.333) from the field and 5-of-10 (.500) from three. The Spartans were led by Jankoska with 12 points while Agee finished with seven rebounds. MSU was 7-ofo-27 (.259) from the field and 3-of-6 (.500) from three. 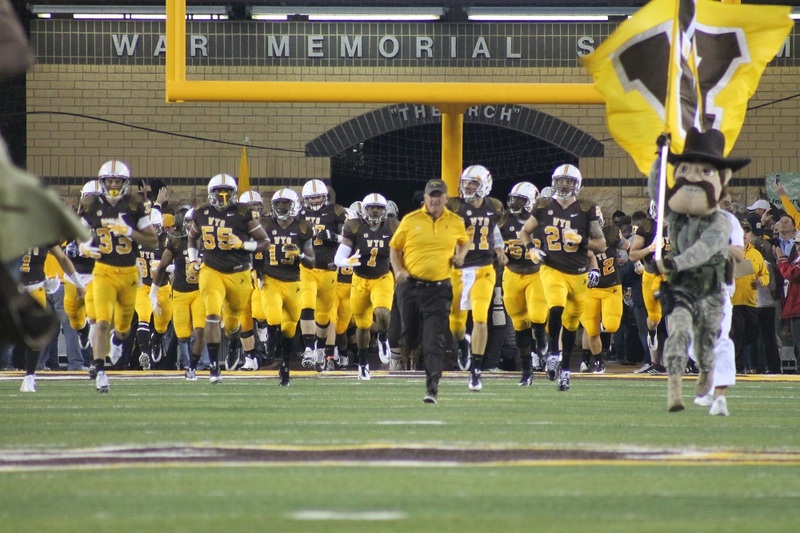 Wyoming returns to action on Thursday against the Denver Pioneers. The game is set for a 6:30 p.m. MT at the Arena-Auditorium in Laramie.